schools that we donated to. which equals to $8.10 per month. about it- only pay the minimum. people for over 14 years now. 15% - CBPM Member in need. 5% - Used by Staff Business for CBPM Business ONLY! (CBPM), to where we are today as the CBPM. 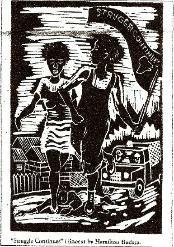 (united) together into one collective body for the uplift of our people. brothers and sisters entered in the CBPM's "What our people are Doing"
your information in the “What our people are Doing” database: www. departments are ready to share with our members. employment for the Coordinators of our people. Collective on the first Sunday's of each month for the rest of 2010.
the Collective Black People Movement (CBPM). wants to run Black People Business? 5% - Used by Staff for CBPM Business ONLY! 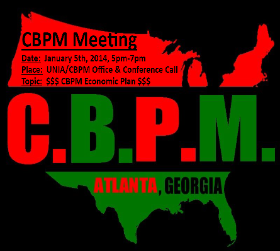 Pay your CBPM Membership Dues at www.cbpm.org/membershippayment. account, after one year we would have generated $98,550 dollars. account, each day we would generate $8 Million Dollars a Day. Let’s pull ourselves up with our own boot straps through self-reliance.